﻿ What is the OSHA Crystalline Silica Rule? 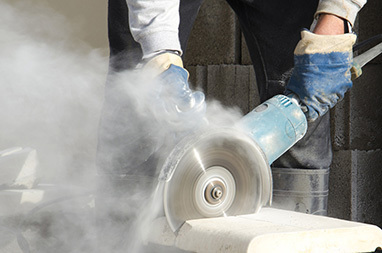 What is the OSHA Crystalline Silica Rule? The Occupational Safety and Health Administration (OSHA) has recognized crystalline silica as a serious concern in the workplace for many years. A basic component of soil, sand, granite, and many other minerals, crystalline silica is especially a concern for the construction industry and for workplaces that use industrial products containing silica. When these products, such as concrete or bricks, are cut, crystalline silica is released into the air. If a worker breathes in the silica, it can damage their lungs. OSHA recently updated their rule on exposure to crystalline silica after studies found that low-level exposure to silica can cause serious health effects, including lung cancer. The new rule reduces the permissible exposure level (PEL) for crystalline silica to 50 μg/m3, averaged over an eight-hour day. Overall, the rule puts measures in place to better protect workers from exposure to crystalline silica. For additional information on the OSHA crystalline silica rule, including the compliance schedule, click here.